A few years ago I found out that Beachbody offered a way for people like me to earn an income. I was not sure what it was but knew that I needed a way to have more freedom in my schedule and more cash flow. I loved the Beachbody products and had already done P90X at that time. I got great results and enjoyed sharing with others and helping motivate people to get results. That’s when I decided to get involved in the Beachbody business. So thankful that I said “YES” to this incredible opportunity a few years ago and decided to give it my all. It’s given me the freedom to experience and do the things in my life that are important to me while helping others do the same. 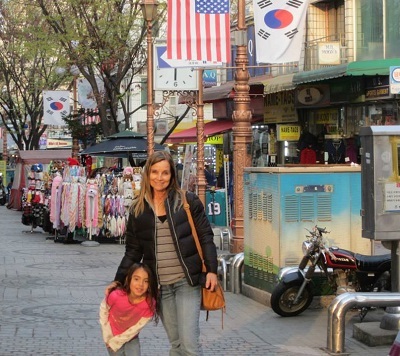 I just returned from 2 weeks in South Korea to visit my family that lives there. My son is in the Military so my family lives in various places around the world. Prior to my Beachbody business, getting away to visit them was difficult. Either I didn’t have the money or my employer put restrictions on my time away. That was simply no longer acceptable to me as my grandchildren were growing and I wanted to see them as much as possible. Beachbody has helped me achieve that most important dream in my life. While I was away in South Korea, my business and income grew. I could not have done such a trip if were not for Beachbody and I am grateful beyond measure for this business. There are lots of ways you can build your business and start living life on your terms. 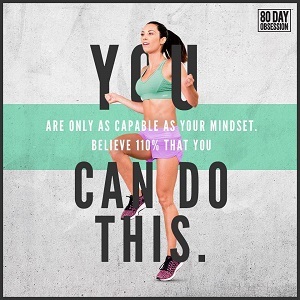 You can do anything you set your mind to. It took work. Yes, you have to learn some skills and do work to grow a business with Beachbody but the rewards have been more than worth it. I no longer work in a corporate job and I live life on my terms. Anyone can do this business. All it takes is the desire to help others, discipline to learn skills, and motivation to take action everyday. My goal is to help as many people as possible to get more of what they want out of life. Is this you?